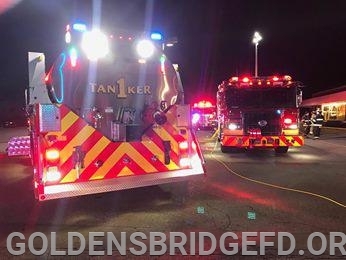 This evening, Golden’s Bridge Fire Dept responded to an alarm at The Bank of America in the North County Shopping center. Upon arrival, car 2141 noted a heavy smoke condition, and requested a FAS team from Bedford Hills. Arriving GBFD units made entry, and quickly determined the source of the smoke to be from the boiler room. The boiler was shut down and secured. 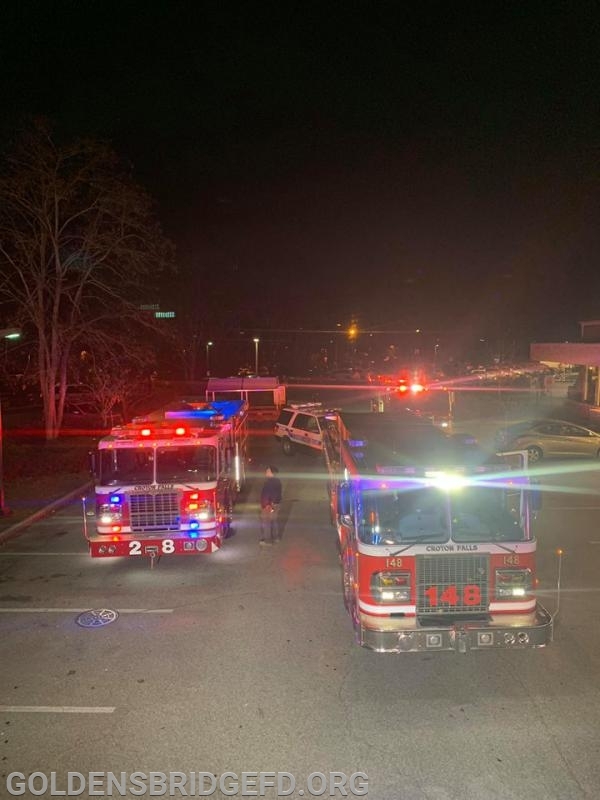 Due to high levels of CO in the bank, neighboring businesses were evacuated as a precaution. 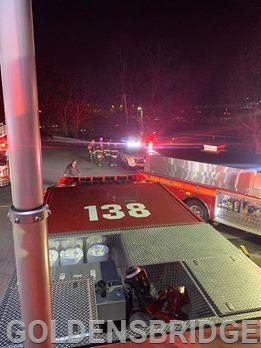 Ventilation fans were placed in position, and the bank was cleared of smoke and CO.
Lewiwboro can rest easy upon the knowledge that the Goldens Bridge Fire Department is always available to prevail upon for our safety and security.